Since my grocery store was sold out of broccoli (both fresh and frozen) and the baby spinach bin was empty too , I’m assuming you’re still on a health kick. That’s fine, y’all, but seriously: Valentine’s Day is coming up. Get ready. Your honey wants chocolate. Besides, calories are just delicious points. PAVLOVA IS: a crunchy but chewy-in-the-middle meringue cup filled with whipped cream and berries. Don’t miss this impressive but healthy dessert. I baked this healthy dessert for my sweet friend Julia over at The Roasted Root. 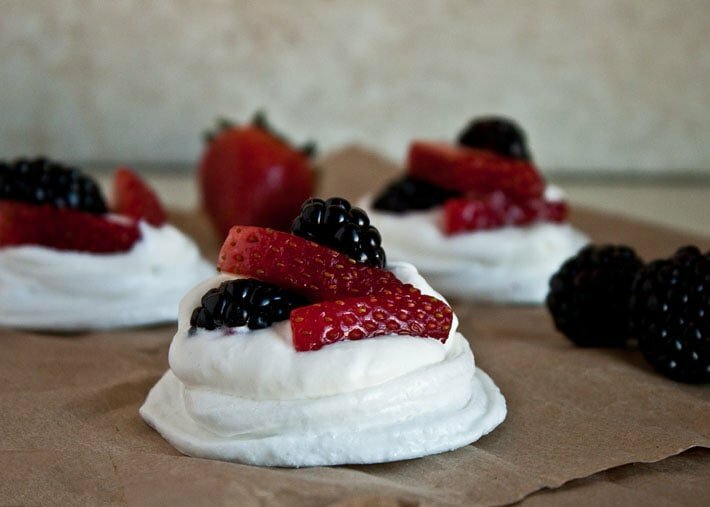 Click over to her site for the recipe for these mini berry pavlovas. And could you leave me some spinach next time? Thanks. “berries, berries, berries…I love berries” < – – – said like Will Farrel. Thanks so much for bringing your pavlova love round my neck of the woods! If you can settle for kale instead of spinach, I'll start walking your way, you can start walking mine…we'll meet in the mid – ….okay, enough of that. I love these mini berry treats and can't wait to try them!! I made pavlova for the first time over the holidays! It was so good! I adore your perfect mini pavlova’s! going to check out the recipe for this right now – these look delicious, and I love that they are slightly healthy! Mmmmm perfect way to keep my resolutions! I love pavlovas! It’s like eating dessert on a fluffy cloud. Yum! I looooove pavlovas! This sounds super good! YUM. I’m obsessed with fresh berries right now and putting them on top of a pillowy pavlova sounds just about amazing. 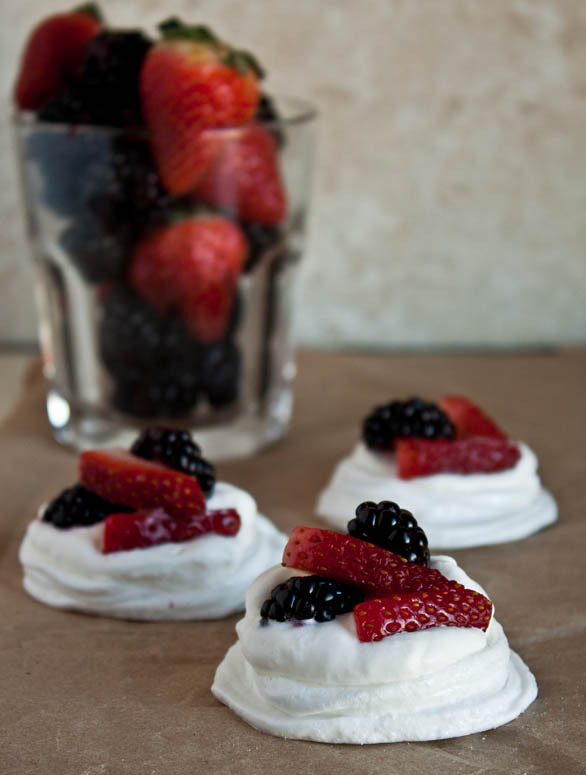 I love pavlovas and the berries in these look perfect! What a great Valentine’s Day dessert! I love pavlovas! I tried making a giant one for 4th of July and I had some issues, but I think mini ones would be much easier. Perfect for Valentine’s Day, and I love that it’s healthy! (Although I am going to be out of the country almost all of February, so my husband is going to have to buy his own desserts). I can’t get enough fresh berries right now! I’d love them even more if they were sitting on top of these pavlovas!